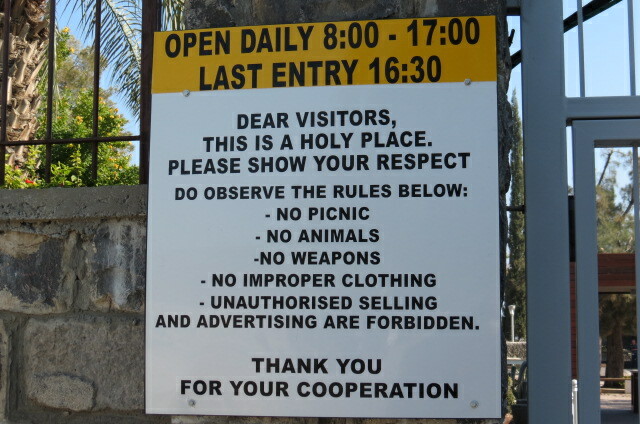 Jesus may have taught in the local synagogue. According to Christian traditioin it was also the home town of the apostles Peter, James, Andrew and John, and the tax collector Matthew. Capernaum remained virtually abandoned from the early Moslem period until the Franciscans bought the land in the late 19th century.The remains of Capernaum were not rediscovered until the 19th century. In 1893 2/3 of the site in the Holy Land was acquired by Franciscans/Grey Friars while the other third was purchased by the Greek Orthodox. . The Franciscans built a fence, planted palms and eucalyptus trees from Australia and built a small harbor. Most of the early excavations (1905-26) and restorations were conducted by Franciscans. St. Peter’s House was discovered only in 1968. 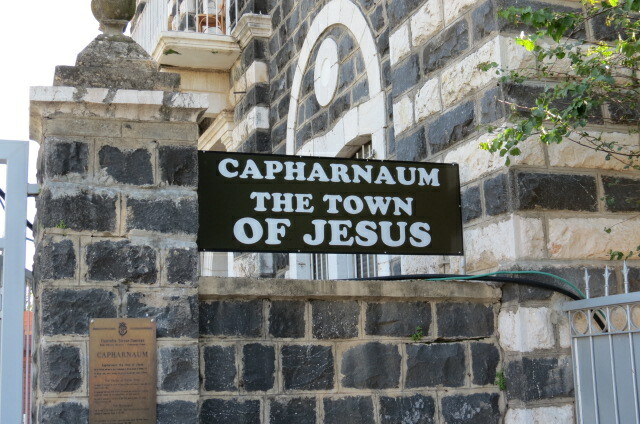 The project “Capernaum- the city of Jesus in the Holy Land” is to conserve and restore the “town of Jesus in the Holy Land” as an archaeological and biblical site, bringing to bear its spiritual message. 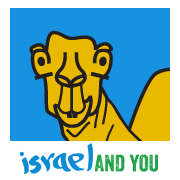 Capernaum was a fishing village in the time of the Hasmoneans, located on the northern shore of the Sea of Galilee. It had a population of about 1,500. The site had no defensive wall and extended along the shore of Lake Kinereth (Gennesaret) west 3 kilometers to Tabgha an agricultural area. Fishing was also a source of income. 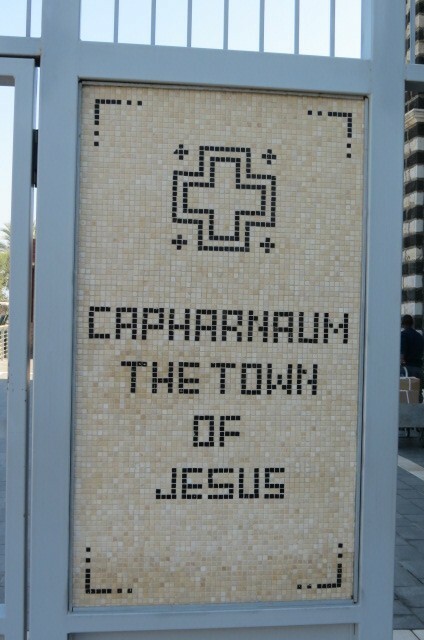 During the first Jewish revolt of 66–70 Capernaum was spared as it was never occupied by the Romans. One house in the village was venerated as the house of Peter the fisherman as early as the mid-1st century. Two churches were constructed over it. Egeria, during her pilgrimage to the Holy Land, visited Capernaum at some point between 381 and 384. She describes the house of the Apostle Peter and relates that it had been transformed into a church, specifically a domus ecclesiae (“house of the Church”). In the 4th-century transformation a thick-walled, slightly trapezoidal enclosure was built surrounding the entire insula. This structure remained until the middle of the 5th century when the sacra insula was dismantled and replaced with a larger basilica. The Byzantines placed the central octagon directly on top of the walls of St. Peter’s house to preserve its exact location, although none of the original house was visible any longer, as the walls had been torn down and the floor covered in mosaics. The 5th-century church central octagon with eight pillars, an exterior octagon with thresholds are still in situ. The remains of St. Peter’s House were discovered in 1968. In 1990, the Franciscans built a modern church over the site of St. Peter’s house, hexagonal in shape and rather spaceship. This church is elevated on pillars and has a glass floor, so that visitors can still see the original church below. In March 2000, Pope John Paul II visited Capernaum during his visit to the Holy Land.